Microwaves are a form of electromagnetic waves which has wavelengths ranging from one meter to one millimetre with frequencies between 300 MHz (100 cm) and 300 GHz (0.1 cm). Uses of microwaves – Microwaves are very widely used in today’s world. They are used for point-to-point communication links, wireless networks, microwave radio relay networks, radar, satellite and spacecraft communication, medical diathermy and cancer treatment, remote sensing, radio astronomy, particle accelerators, spectroscopy, industrial heating, collision avoidance systems, garage door openers and keyless entry systems, and for cooking food in microwave ovens. Microwaves are extremely high frequency radio waves, and are made by various types of transmitters. It causes water and fat molecules to vibrate to make the substance hot and so the microwaves are used in cooking various types of food. Microwaves are also used in mobile phones which can be produced by a small antenna. Wi-Fi also uses microwaves. Microwaves are also used in fixed traffic speed cameras and also for radar used by aircraft, ships and weather forecasters. Microwaves are used in spacecraft communication that means majority of the world’s data, TV, and telephone communications is transferred to long distances by microwaves between ground stations and communication satellites. 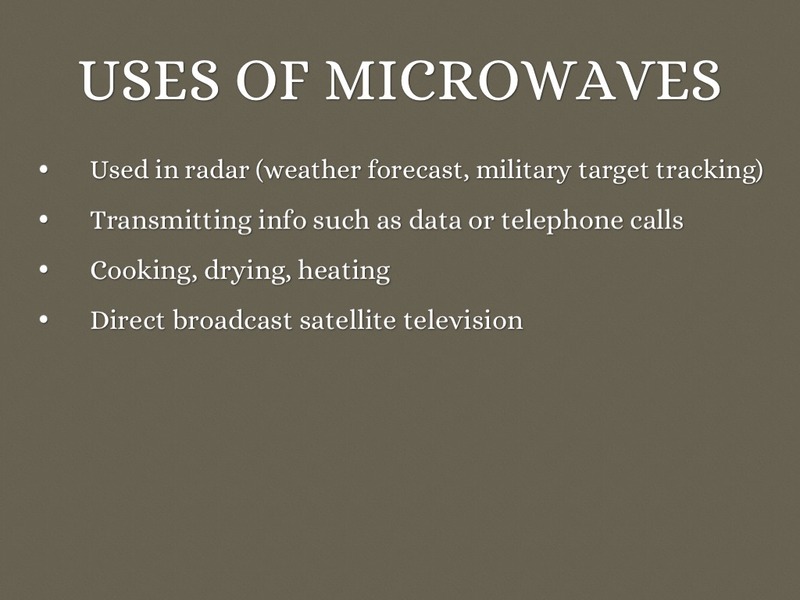 Microwaves are also used in microwave ovens and radar technology. Next Post When and why the inside of Qutub Minar is closed for public?